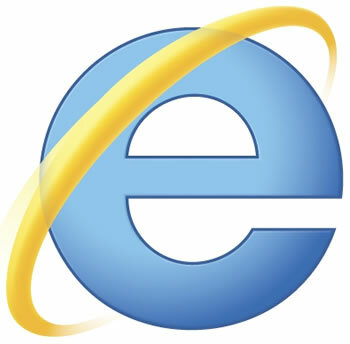 Internet Explorer isn't the fastest or most featured-packed browser around, but it might be the most power efficient. Hoping to determine which software would give his aging desktop replacement the longest battery life, Ciprian Adrian Rusen put IE9, IE10, Chrome 18, Firefox 11 and Opera 11.62 to the test, and both of Microsoft's offerings had a clear edge on competitors. All of the browsers were benchmarked with Peacekeeper in their default state on a fresh copy of Windows 7 -- except the IE10 beta, which is only available for Windows 8. The machine in question is a two and a half year old HP Pavilion dv7 2185dx with a 2GHz Core 2 Quad Q9000, a Radeon HD 4650 and 6GB of DDR2 RAM. It was configured to run on a power saver profile. Many use Chrome for its minimalist design and snappy performance, but it proved to be the worst at conserving battery life. Rusen noted that most of the tests he conducted failed one way or another -- either the browser crashed or Peacekeeper didn't record the results. It also caused the laptop's screen to become active at random intervals, as if the input devices were being used. Although it was 126% faster than IE10, Chrome 18 only offered 85 minutes of run time. By comparison, IE10 provided 21% more life at 108 minutes, longer than any other browser tested. This could be a testament to the power savings touted by Windows 8. IE9 followed in second place which lasted 104 minutes, while Opera 11.62 ran for 100 minutes and Firefox 11 lasted 92 minutes. Rusen concluded that users seeking a balance between speed and autonomy should use Opera, which was 78% faster than IE10 while getting only 7% less battery life. We'd like to see Chrome's results without extra power draw from the display waking up, but at least one user validated the results with his own tests, which pegged Chrome three hours and Opera at three and a half.